Another month comes to a close and spring is right around the corner; I can tell because I've seen a tiny bit of pollen and the temperature is beginning to creep up, ever so slightly. We are now in that short period, before Daylight Saving Time begins, when I actually see the sunrise during my morning run; that will all change in less than two weeks, but I'm going to enjoy it while it lasts! Tomorrow, I will post my March TBR List Link Up (details on the link up here, if you're interested in joining me!) and begin to look forward to this weekend's Little Rock Marathon festivities and my upcoming race in Memphis; until then, here's a February recap. A lot of rainy running this month! A lot of rainy day workouts and long runs, but I managed to find some great audiobooks that helped me connect to something other than my squishy shoes and the rain dripping from my hat; no matter what race day brings (Germantown Half Marathon - March 11), I'll be ready! American Radical: Inside the World of an Undercover Muslim FBI Agent by Tamer Elnoury - I decided to read this one after fantastic reviews from two trusted book recommendation sources - Susie at Novel Visits and Renee at It's Book Talk - and this wild story of his experiences was completely captivating! 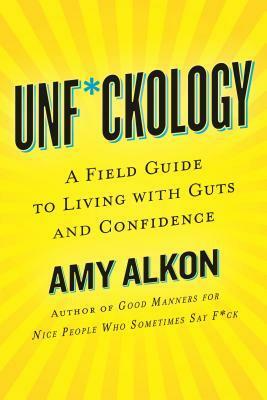 Unf*ckology: A Field Guide to Living with Guts and Confidence by Amy Alkon - Alkon will be presenting at the 2018 Arkansas Literary Festival and her research is so interesting; unlike other books on this topic that you may have encountered, this one demonstrates that there's a lot more to confidence, self-esteem and fear than we may be able to navigate via self-talk. I found it to be very enlightening and a fresh perspective. Text Me When You Get Home by Kayleen Schaefer - I'd been looking forward to this one for a few months, after hearing about its upcoming publication, and it did not disappoint; it doesn't hurt that Schaefer makes some pop culture references that are squarely within my demographic, but I think this is an insightful, timely contribution that had me wanting to hop on a plane to visit my closest girlfriends. It Ends With Us by Colleen Hoover - Several years ago, I gave up on the "contemporary fiction" (as it seems to be known, these days!) and romance genres; I think I caved to the idea that I should be reading more substantial, literary fiction. I've read so many great things about Colleen Hoover's stories, from several book-loving friends, and the gals at The Bookly Club chose this one as their February selection; what better time to jump back in? This story, while rather predictable and cheesy, does include a tough topic - domestic violence - and I thought Hoover did a great job with it. 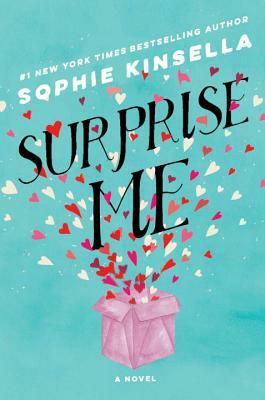 Surprise Me by Sophie Kinsella - One of my must-read authors; my full review here. Queen of Hearts by Kimmery Martin - A medical drama, written by an emergency medicine physician, that was a really fun find; my full review here. Bachelor Nation by Amy Kaufman - This one publishes on March 6; review to come! It's safe to say that I was really excited to receive an early copy of the details on her experiences with The Bachelor franchise. The Great Alone by Kristin Hannah - A highly-anticipated early year release; my full review here. The Line Becomes a River by Francisco Cantú - I can not speak highly enough of this book and I've been trying to recommend it to everyone; my full review here. 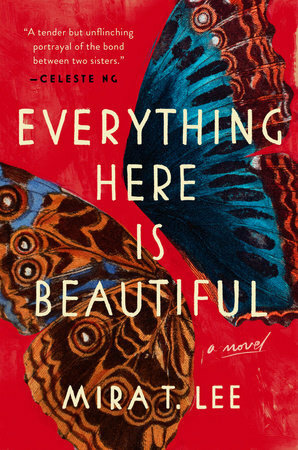 Everything Here is Beautiful by Mira T. Lee - Another great recommendation from Susie at Novel Visits, I borrowed this one from the library and could hardly put it down; it's not always pleasant - a story of two sisters, one who suffers with mental illness - but the writing is beautiful and it took me a few days to recover! Force of Nature by Jane Harper - Her debut, The Dry, was such a huge hit and I can see why; I'm looking forward to more of her recurring character, Agent Aaron Falk, after reading this story about five female coworkers who embark on a corporate team-building adventure in the Australian wilderness...and they don't all make it back. Brass by Xhenet Aliu - I love a debut author who just knocks my socks off; I haven't seen/heard much buzz about this one, but I hope it will pick up steam! I posted a full review here; add this one to your list! An American Marriage by Tayari Jones - I am so thankful that Sarah at Sarah's Book Shelves recommended this one, long before anyone else was talking about it! I have nothing but praise for this novel; it deserves all of the buzz, Oprah, everything. This story, and its characters, really resonated with me; my full review here. Reading Bucket List from Allison at Mind Joggle - I love the idea of a reading bucket list; I'm actually going to mention this idea again tomorrow, in my March TBR List Link Up, but Allison's post really interested me and I loved seeing her list! 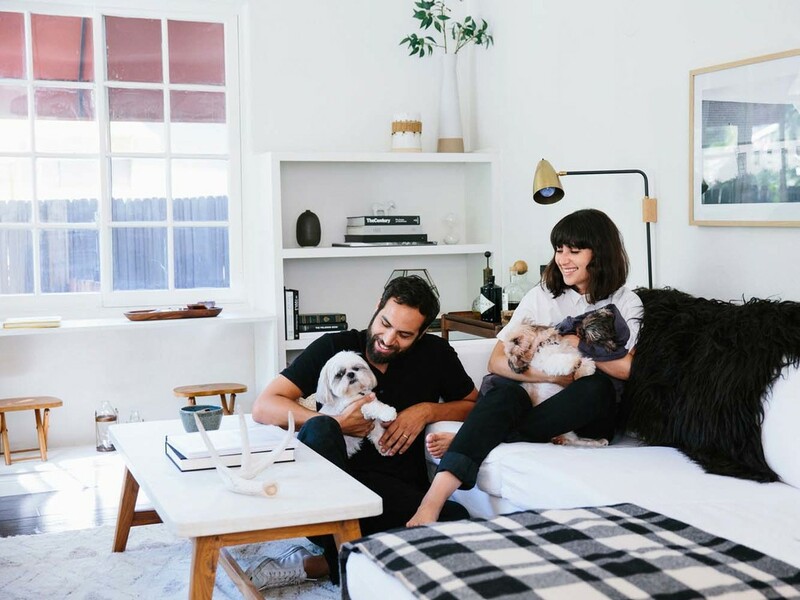 Self Care Series: On Books & Bedtime Routines from Madeleine at Top Shelf Text - I have a pretty good evening routine...or so I thought! I enjoyed reading about Madeleine's routine and have incorporated some new ideas. 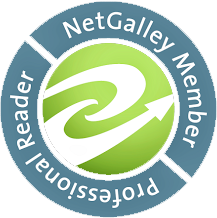 Why I Sometimes See The Movie Before I Read The Book by Simone at Simone And Her Books - I am usually a die hard "read the book before you watch the movie" gal; however, Simone brings up some great examples of when that might not be the best practice. How was your month? Reading, or otherwise? Tell me all about it!